I flew all day on Wednesday and managed to miss the State of the Union address. "Ah well," I thought to myself, "At least I won't be reminded of politics today." What two airports did I fly through? Reagan National and George Bush Intercontinental Airport. Haha, very funny life. Next time, fly me through Kennedy, will ya? You can fly through Kennedy if you go to New York. Since you're spending February in Hawaii, however, I'll just remind you of the sign posted in my office. 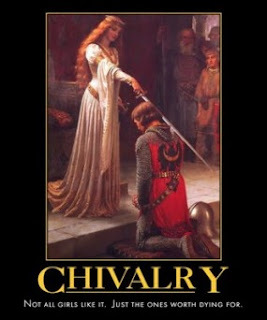 This time, it's not Arab culture, it's warrior culture. I am of course thinking of the case of the bloodthirsty Marine, er, that is, General Mattis. BlackFive suggests a quiet drink after work with the Commandant; Doc Russia calls for him to be elected President. All I have to ask is, did you think we were kidding about this stuff? That link is to a little song called "the Recon Cadence," which is to my knowledge drilled into every Marine recruit. You can read the words, and a whole lot more, right here. I'm with Doc. Put our General on the ticket in 2008. I'll vote for him, either party. Here's a man who hasn't forgotten how to live the lessons the Drill Instructors still today teach to the men who will serve under him. He's a Marine, by God! I'm not sure if "soft-spoken" is an adjective that has often been used to describe me, but the rest of it more or less fits. What I wan to know is, where did he find a soldier action figure with a full beard? "Here's a funny story. There were three brothers down in Baghdad who had a mortar tube and were firing into the Green Zone. They didn't have a baseplate so they were storing the mortar rounds in the car engine compartment and the rounds got overheated. Two of these clowns dropped them in the tube and they exploded, blowing their legs off." Abandoning the lifeless carcasses and smouldering wreckage of the car, the third brother sought refuge in a nearby house. The occupants were less than impressed, related Stockmoe, slapping his thigh. "So they proceeded to beat the crap out of him and then turned him over to the Iraqi police. It was like the movie Dumb and Dumber." There have been so many examples of such incompetence that Stockmoe, who leaves Iraq this week after a year as the US army's 1st Infantry Division's senior military intelligence officer, has been doling out unofficial Darwin Awards in honour of the most side-splittingly useless insurgents. Created in 1993 by a Stanford University student, the official Darwin Awards commemorate those who "contribute to the improvement of our gene pool by removing themselves from it in a really stupid way". According to Stockmoe, Iraq's gene pool is in better shape each day. Stockmoe has a serious point, and a close look at insurgent attacks since the Fallujah offensive in November reveals that while the numbers might have increased, they are becoming less effective. The nine election-day suicide bombers averaged about three victims each, a strike-rate so bad that Allah might soon start rationing the virgins to show his displeasure.... The gap between the rhetoric and the actions of Abu Musab al-Zarkawi, the Jordanian Salafist who leads the most brutal strand of the insurgency, has grown ever wider since he lost his base in Fallujah and was largely restricted to the Sunni corridor that runs from Mosul to north Babil. Fallujah not only deprived Zarqawi of his base, but broke the alliance that Newsweek is reporting in this week's edition. There was bitter dissent when Zarkawi and other insurgent leaders fled Fallujah and left their underlings to fight. Fear of betrayal has led to smaller cells operating ever more independently, preventing an overall insurgent strategy from developing. Remember the dissent to the invasion of Fallujah? "So what if we attack the city and kill a few local boys. The leaders will just escape." Proof of their valour! Go sleep in peace ye brave! Proud die the soldiers of the Rearguard. Not so tribal braves, who expect their heroes to fight from the front -- or, at least, not to abandon their soldiers to die. Zarqawi's flight places him, not in the Legion of the Rearguard, but in the league of General John Cope. They speired at him, "Where's all your men?" For I left them all in the morning." What the Redcoats may have thought of this, the Highlanders were not impressed. They would have thought less yet, should one of their own have done the same. When Charlie left the field, it was because his army had been shattered at Culloden. The leaders' flight before the storm wins no hearts in old Fallujah. At the start of the 21st century, we can see what went wrong more clearly. What went wrong was western European modernism. Just so. And not only on this particular topic. Senate Republicans on Tuesday introduced a proposed change to the Georgia Constitution that would protect hunting and fishing from being outlawed, a move some Democrats say is a political ploy to win the GOP votes in the 2006 elections. Senate President Pro Tem Eric Johnson, R-Savannah, said the constitutional amendment is needed to prevent Georgians from losing a way of life that is essential to those who hail from outside urban areas. "As Georgia gets more and more urbanized and Atlanta gets bigger and bigger, I think you've got more and more people that don't understand hunting and don't understand the birthright that Georgians feel about it," Johnson said. "We want to make sure that animal-rights activists or liberals in the General Assembly can never take away Georgians' rights to hunting and fishing." Back when I lived in Savannah, Eric Johnson was my Senator (or maybe he was a representative in those days -- it's been a little while). I worked on a campaign for an opponent of his -- longtime readers of the Hall will remember that Grim is a Southern Democrat of the Zell Miller school -- but I always respected the man. Sen. Regina Thomas, D-Savannah, on Tuesday called the amendment unneeded and suggested Republicans are angling to give a boost to GOP candidates in 2006, when voters will cast ballots for all statewide officers including governor, lieutenant governor and the commissioners of agriculture, insurance and labor. "They are determined they are going to take every constitutional officer in the state," Thomas said of the GOP. "I don't think we need a constitutional amendment on (hunting). I think there are more important things that affect and adversely impact the lives of the people of this state." Johnson rejected such criticism, saying his resolution isn't about winning votes. Beth Brown, spokeswoman for the Wildlife Resources Division of the Georgia Department of Natural Resources, said she was not aware of any existing state proposal to outlaw hunting or fishing in Georgia. And while the department supports the amendment, it doesn't intend to lobby for its passage. It may very well be true that this is, in part, a ploy to win votes. Certainly it is likely to win them. But I don't think it's only that. Even in Savannah -- almost perfectly isolated from Atlanta's growth spurts -- the effect of this increased urbanization/suburbanization has been felt. The only public shooting range within an easy drive of the city closed five years ago. Run by a former Marine, it had been operating on land just across the Savannah river for decades. It had an excellent setup and safety record. Land speculators bought land surrounding it -- knowing perfectly well there was a firing range there -- then proceeded to build subdivisions, and sue to close the range down. Since there was no grounds for a safety complaint given its fine record, they sued instead on the grounds that it was too noisy. The same is true across Georgia. My father recently sent me a videotape of giant bulldozers plowing down the forest where my dogs and I used to go hiking as a boy. He sent it because my son, his grandson, loves construction machinery. Indeed, the boy loved watching it, but I did not. This kind of thing is a direct result of the changes Johnson mentions. This isn't really a party issue -- Johnson is a Republican, but in Forsyth County, it's the Republicans on the county commission who are the miscreants. They rushed this project through because the state had passed legislation making it illegal to do what they were setting out to do, so it had to be done before the new year. That county commission was elected by the kind of immigrants Johnson means, people new to the state, without understanding of local issues, who vote Republican in local elections simply because that's how they intend to vote in the national elections. All of this is driven by the city of Atlanta, whose booming economy has steadily expanded its suburbs, satellite cities, and their suburbs. Over the last two decades, they've advanced outward along every major highway, expanding past the "perimeter" of I-285 through traditional satellites, over and past farmland, past cattle country, and are now cutting down the timberland to make more room for suburbs. So no -- it's not "just" a plot to get votes. It's a necessary first step toward protecting the heritage of the state. In fact, I suggest that it's a wise model for amendments in similar places across the country: the first of many, perhaps, to protect traditional ways of life against urban sprawl. "Urban sprawl..." Now, what does that remind me of? Seems like here's an issue for those of you hoping to move a certain national party back to the center, and make inroads into exurbs and rural areas where the party is weak. Here's a story hot off the wires. No link yet. LIMA, Peru (AP) A key witness against a man U.S. drug authorities say is Peru's most notorious drug trafficker was shot to death in prison, officials said Wednesday. Jose Maria Aguilar, known as "Shushupe'' a type of deadly snake in Peru was shot to death Tuesday in his prison cell in the jungle city of Pucallapa, 305 miles (490 kilometers) northeast of Lima. Aguilar had told authorities that Fernando Zevallos, the founder of the country's now defunct national airline, Aero Continente, used his company's planes to smuggle drugs into Colombia, El Comercio newspaper reported. Aguilar was shot twice in the face allegedly by a prisoner already serving time for murder, said officials with the National Institute of Prisons. The inmate was not identified. Peru's director of prisons, Wilfredo Pedraza, said Wednesday investigators do not believe this was simply a fight between inmates. In a television interview on Peru's Canal 2, Zevallos denied any involvement in Aguilar's death. "It would be very stupid to do that,'' said Zevallos. Zevallos, 47, is currently on trial for drug trafficking. In his interview, he again denied the charges against him. Zevallos has been the subject of more than 30 investigations by the U.S. Drug Enforcement Administration and has been tried in Peru on charges of murder-for-hire, trafficking in cocaine and money laundering. But he has never been convicted of a crime. The Bush Administration added Zevallos to Washington's international "drug kingpin'' list in June, freezing his U.S. assets and prohibiting U.S. citizens from commercial dealing with him or any of his businesses. There are a lot of questions about this story. The answer to all of them is, "Because it's South America." So just what was this supposed to mean? I came across this wierdness today via instapundit. I'm still trying to figure out if the original website was a joke or what. But if it was not, and if the whole incident can be turned into a running joke, (just follow the links), what does that say about the terrorists now? Nepal's government is dissovled by its king, who cuts off the nation's communications with the rest of the world. The Economist explains why this could sow chaos throughout South Asia. But it is bigger even than that. The Maoist rebels in Nepal have expanded their operations across China's borders. A collapse of order in Nepal could bring two nuclear powers -- India and China -- into conflict at the roof of the world. When news of the Indian Ocean tsunami filtered through to Africa the day after Christmas, Gladstone Robinson was playing Bob Marley's 'Natural Mystic'. ''It's the prophecy!'' shouted the 75-year-old Rastafarian, shaking his knotted stringy beard and grey dreadlocks, over the din of the CD player. Those of you with access to such things can see Friends of Democracy on C-SPAN from 2-4 PM, EST. 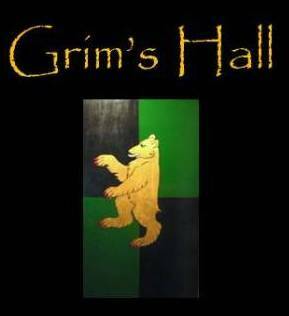 Grim's Hall is not wired for television, so if any of you do watch, let me know how it goes. The Adventures of Chester has a roundup of some Iraqi responses to the vote. This was my way to stand against those who humiliated me, my family and my friends. It was my way of saying," You're history and you don't scare me anymore". It was my way to scream in the face of all tyrants, not just Saddam and his Ba'athists and tell them, "I don't want to be your, or anyone's slave. You have kept me in your jail all my life but you never owned my soul". It was my way of finally facing my fears and finding my courage and my humanity again. Mr. Sadr Ad din al Qabanji... said, "The elections are the battle for freedom against despotism and independence against occupation,” and on those viewing the Iraqi scene as being a secular-Islamic, Shiite-Sunni, Arab-Kurdish competition, well their reading is marginal and imprecise. As Al Qabaji says, “The real competition is that between peace and terrorism. All the Iraqis are in the peace and law trench." Today's Washington Post has an article which asks, "Is Democracy Un-Islamic?" They might have simply waited a day. Reports on negativity about the Iraq elections appear at Belmont Club and a blog called "Think Things Through" (I often use a variant of that phrase when speaking to my son). The usual suspects are involved. There is an irony here. Both Robert Fisk and Juan Cole are regular participants in the "Americans are culturally illiterate about Arabs" school of foreign policy studies. Among other places, Cole has lamented alleged American illiteracy here and here. Fisk needs no introduction to any reader of blogs. The irony is that both of these writers, and all of their ilk, have completely misunderstood the Iraqi cultural reaction to the elections. American soldiers and Marines, whose warrior culture is far closer to the Arabs' than is any academic or journalistic one, understood the truth from the beginning. The problem for soldiers has only been learning to think about how they would feel if the circumstances were reversed. The problem for these proud intellectuals has been something more arcane, like demonology, trying to grasp drives whose rules they have written down, but which remain totally alien and finally not understood. In the debate -- I have had it a dozen times in as many places, and read variants of it in far more -- this school has held that the threat of violence over the elections would make them illegitimate because it would depress turnout, and even among those who came to vote, would through intimidation influence them to make false choices. Until security was certain, there could be no free election. The thing these debaters never understood was this: in an "honor and shame society" (to use the intellectual term for it), there is great honor to be gained when there is a threat hanging over your actions. It is the same power which drove warriors of the Algonquin Nations to count coup on the enemy. Far from depressing turnout, the insurgents inspired it. [Cole]'s appreciation was totally wrong. Think of what it means for anyone to dare vote in Fallujah at all, despite the penalties prescribed by terrorists, some of whom are certain to be kinsmen. And when was the time, at any Faculty meeting, that the halt and the blind tramped in to vote (cars are banned from approaching the polling precincts for security reasons) at the risk of death? This is correct. And if it is to be understood in its cultural context, one must recognize what a personal act of heroism means in a warrior culture. These people -- including the young and the old, the men and the women, "the halt and the blind" -- have counted coup, to bring honor to themselves and to their project. Anyone who speaks of that project, or writes about it, must show it the honor that the Iraqi people have won for it. To do otherwise -- to try and dismiss the results or the government that forms from them -- is to fail to understand the culture and its conception of honor. It is to put personal preference above reality, to do just the thing that the Coles and Fisks of the world accuse the American warfighter of doing. Thinking Things Through has a good laugh on the point: "[Fisk] might as well be claiming dragons are flying over the southern marshes." Wretchard asks, "Did we win?" and answers, "Who knows? But many Iraqis think they did." Indeed, they did. 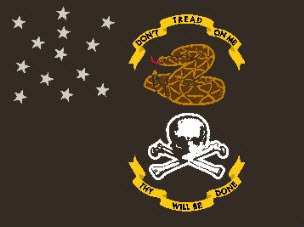 Remember what they won, which by their lights as by mine is honor and glory. Remember how they will expect you to treat a people who have risen from despair to do honorable and glorious things. * I end with an aside. If this was the maximal effort of the insurgents, the assault on Fallujah was a pure success. The insurgency remains capable of brutal and murderous attacks, but not many at once. This demonstrates clearly The Myth of the Guerrilla. I wrote about this at length in "Clausewitz & The Triangle", which looked at the Iraqi insurgency from the perspective of military science. One of the primary tools of the guerrilla is the ruse of appearing more dangerous than he really is. Hit and run attacks, sniper attacks, bombings and the like give the appearance of a foe who is everywhere, when in fact his numbers are limited. The guerrilla, because he chooses the place and time of combat, can appear to be everywhere at once -- and therefore a universal feature of the landscape, even when his numbers are limited. But the election, if you know what to look for, showed that tactic for what it is: an illusion. Today, the insurgent couldn't control the battlefield. In order to remain credible, he had to create not just one ugly incident, but widespread disruption across the country. If the insurgents had the capability, they would have hit every polling station in the country, and they would have hit hard. At many of these stations, it would have been easy to create carnage because of the massive turnout. In fact, they managed only about two dozen deaths nationwide. Time was -- when Fallujah was in their control, and there were safe havens for planning these things and building multiple car bombs -- that they managed to kill more than twice that many at a blow. Remember the forty children blown apart at a sewage treatment plant's opening ceremony? Terrorist attacks are down 40% since Fallujah was taken by the Marines, and that's just measuring the numbers of attacks. As you can see from today's maximal effort, the power of the attacks has also weakened. As mentioned above, the fact is that the insugency wasn't able to put an end to voting even in Fallujah itself, where there remain sufficient numbers of closet guerrillas to kill people who voted in coming days. Last April, there was much fretting that Iraq was being lost as a surge of guerrillas and Mahdi army fighters claimed sections of nine cities across the nation. Now, the elections took place in every last city, even in the teeth of the enemy heartland. Have we won? Not yet; there is still the hard business of setting up a government, and making it run. We will be needed for some time yet to help out in that regard. That will allow the guerrilla to rebuild his illusion; once again, he can choose one target every day or few days, and appear to be everywhere and all powerful. But remember what it looked like when the curtain was pulled away for a moment. We are winning. We will have the victory. Time and leverage are all we need. We have plenty of the latter.